As we recently announced, the keynote speaker at the 2012 Total Warrior Camp will be none other than Lt. Col. Dave Grossman. Lt. Col. Grossman is a U.S. Army Ranger (retired), a former West Point psychology professor and the author of multiple best-selling titles including On Killing, On Combat & The Warrior Mindset. He will be presenting his lecture on 'The Bullet-Proof Mind'. It goes without saying that we're extremely honored to have Lt. Col. Grossman at our inaugural event. 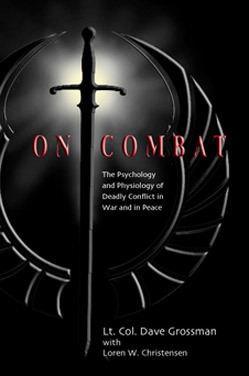 He's also donated signed copies of On Combat & On Killing which we'll be raffling off.